American Outfitters, Ltd offers full color digital banners using the state of the art Roland Sol Jet Pro II printer. This allows us to create banners up to 4’ x 50’. The banners are premium-quality 14 mil glossy PVC banner vinyl, which is extremely durable and weather resistant. We can also provide custom banner displays for use in trade shows. Each retractor features a banner that once installed, rolls tightly into the stand’s base and pulls out quickly and easily. 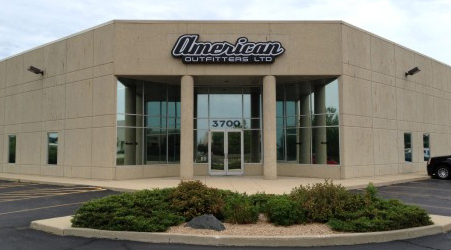 American Outfitters, Ltd. also offers custom, multi-color vinyl graphics for signs, and vehicles.